Our Community Capacity Building Program in the ABC Neighborhood in West Anaheim is nearing an end, but the work is not slowing down! 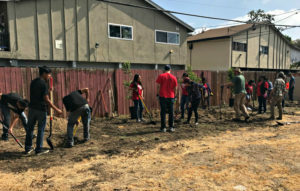 Resident leaders recently partnered with various non-profits and City entities to improve one of their community spaces – transforming it from an empty dirt lot to a beautiful community garden! Resident leaders, alongside OC Human Relations staff, planned a day of fun for children and families to come out and enjoy their community space while being the ones who also physically improve the area by planting California natives, fruit trees, and cleaning up the area. Their leadership, imitative, and neighborhood improvement isn’t over as this summer the residents have partnered with GOALS (Growth, Opportunities, Athletics, Learning, and Service) to bring youth programming to the community spaces, fieldtrips out of ABC for the youth, and physical improvement service projects alongside GOALS Cadets Summer of Service Program. The neighborhood has certainly become a safer place to live in the past few years alongside the resident leaders and our work organizing in the community, but we can’t wait to help support the residents as they lead the way into a brighter, better community. 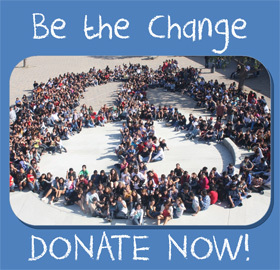 We are grateful for the funding and support from the St. Joseph Health Community Partnership Fund and for our CBI Community Partners: Anaheim Police Department, City of Anaheim – Neighborhood Services Department, and the Anaheim Union High School District. Cultivate Together x ABC Neighborhood Garden from Jordan Prieto-Valdés on Vimeo.